Every town and city has its story, but few have a history that is essential to understanding how the modern world was made. Manchester was the first industrial city and arguably the first modern city. During the industrial revolution it became the centre of the world's trade in cotton goods, so associated with that product that it was known as 'Cottonopolis'. In the nineteenth century Manchester was recognised across the globe as a symbol of industrialism and modernity. It was one of those iconic cities that came to stand for something more than itself. Its global reach stretched beyond industrialism as such and encompassed the political and economic ideas that the industrial revolution spawned. Manchester was simultaneously the home of the capitalist ideology of Free Trade (famously naming its chief public building in honour of this idea) and the place where Marx and Engels plotted the communist revolution. The history of modern Manchester opens doors to an understanding of how science helped shape the modern world from the discoveries of Dalton and Joule to Rutherford's splitting of the atom, the first stored-programme computer and the invention of graphene. But Manchester has also been home to sporting and cultural achievements from the prowess of its football teams to its media presence in television. The city has been the venue for the expression of numerous voices of protest and affirmation from the Peterloo demonstrators in 1819 to the Suffragettes nearly a century later and the Gay protests of more recent times. It has always been a cosmopolitan city with a lively mix of ethnic groups that has added celebration and tension to its cultural and social life. Over time the population growth in and around Manchester generated an urban sprawl that became a city region. 'Greater Manchester' has been a reality for over a century and along with Greater London is the only metropolitan region to be named after its core city. As the industrial base on which the city and region had depended for two centuries collapsed in the later twentieth century the city had to take a new path. This it has done with remarkable success and twenty-first century Manchester is recognised as the post-industrial city that has been most successful in reinventing itself. Appreciating how this has happened is as much a key to understanding Manchester as is knowledge of its past greatness. 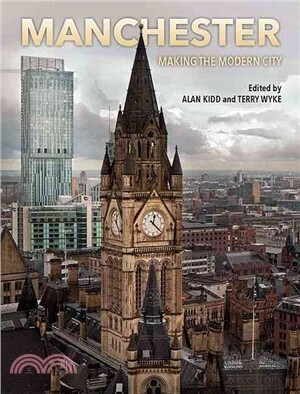 Written by leading experts on the history of the city and with numerous insights and unexpected stories, this profusely illustrated book is essential for an understanding of what Manchester has been and what it can become. Alan Kidd is Emeritus Professor of Social & Regional History, Manchester Metropolitan University. Terry Wyke is Senior Lecturer in Social & Economic History, Manchester Metropolitan University.